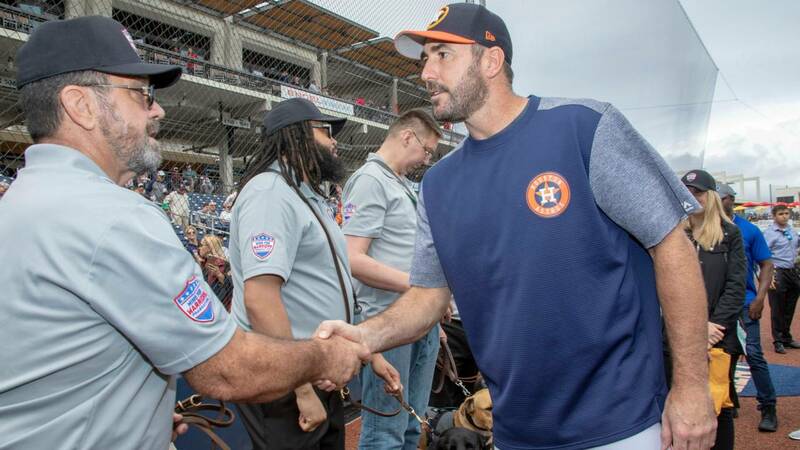 WEST PALM BEACH, Fla. - Houston Astros pitcher Justin Verlander and his wife, model Kate Upton, presented four veterans with service dogs at a baseball game Wednesday in Florida. 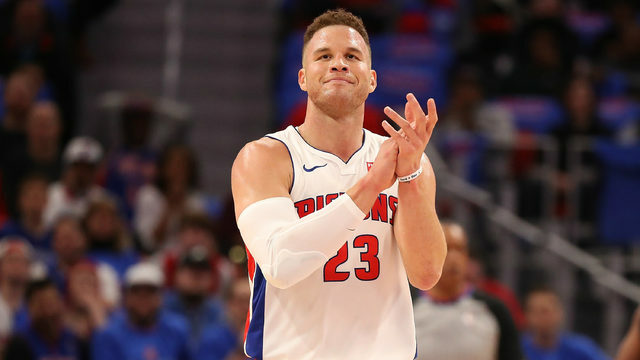 The former Detroit Tiger and Upton's new program, Adopt. Rescue. 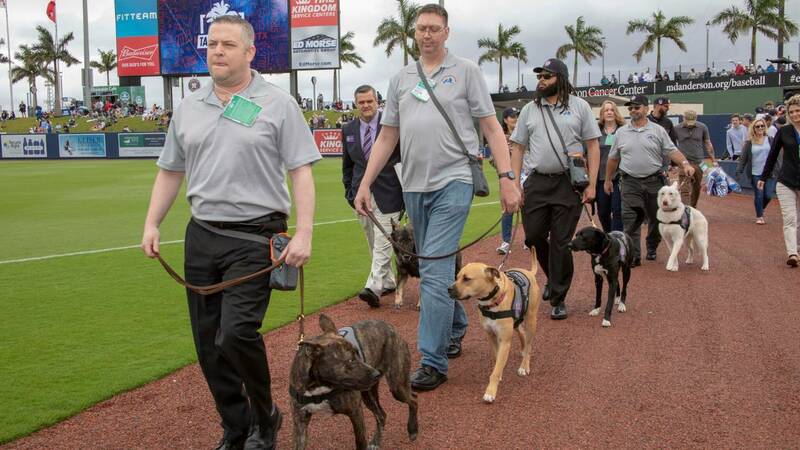 Heal., helps adopt and train shelter dogs for military veterans with service-related injuries, such as traumatic brain injuries and post-traumatic stress disorder. 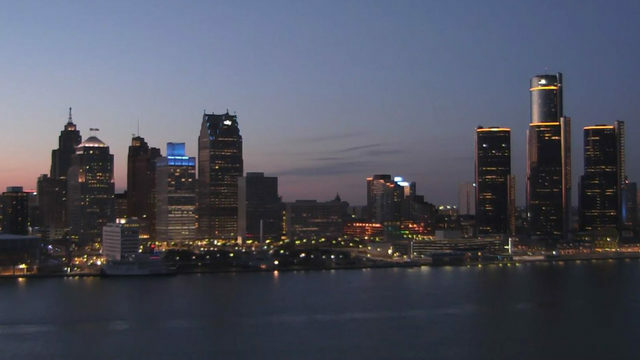 The program was launched by Wins for Warriors Foundation, a military-focused charity founded by Verlander. "Adopt. Rescue. Heal. 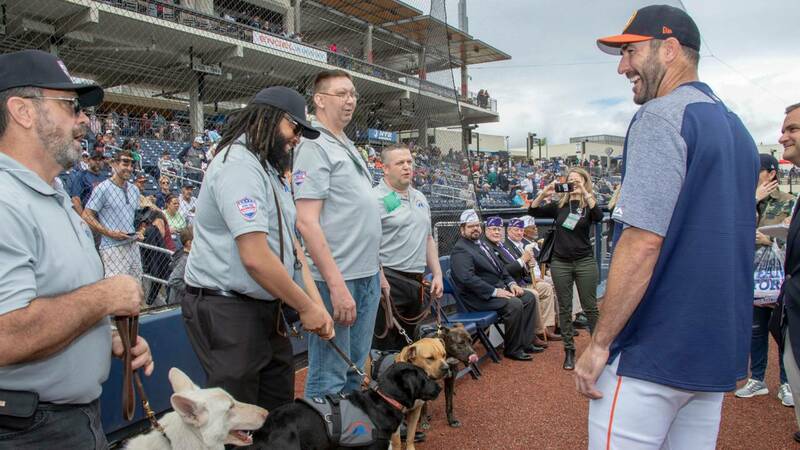 brings our passions for getting shelter pets adopted and helping military veterans full circle," Verlander said. "Kate and I couldn’t be prouder to give these veterans their new service dogs and give these dogs a home, a purpose and a meaningful life." 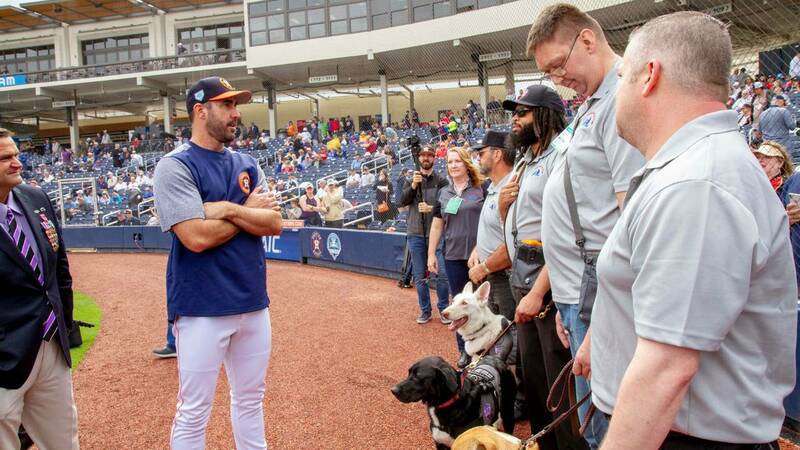 The veterans were acquainted with the animals before the New York Yankees and Houston Astros pregame ceremony at the FITTEAM Ballpark Of The Palm Beaches in Florida. "I'm taken aback. It amazes me that there are still people out there that really care about the vets today in this world, with all the things that are going on. 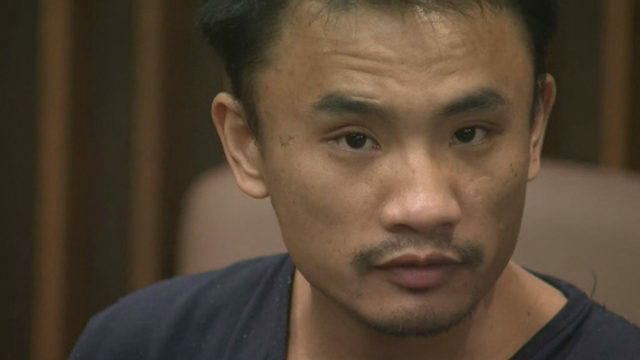 It just is real heartwarming," Coy Webb said. Webb, a U.S. Navy veteran met his new service dog, Emily, during the ceremony. "Emily is a lifesaver, a godsend. She's going to help me so much," he said. 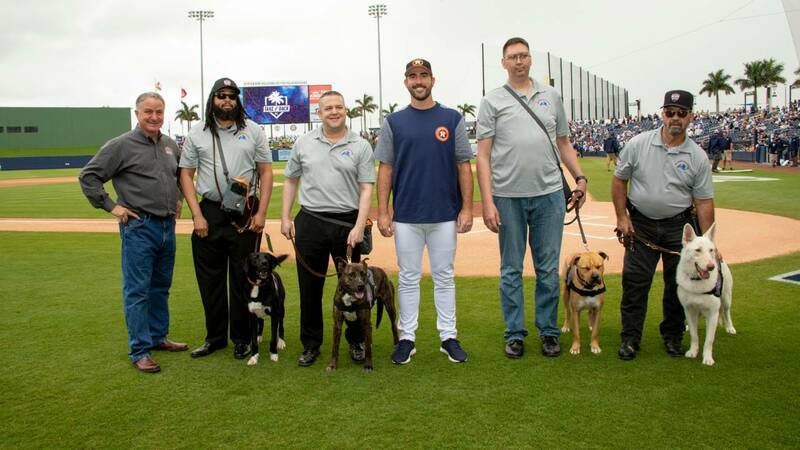 Verlander and Upton met the four dogs in November. They were adopted from the Houston SPCA and underwent a training program with a combat-wounded Iraq war veteran, Ernie Rivera. He specializes in training service dogs for veterans and autistic children.